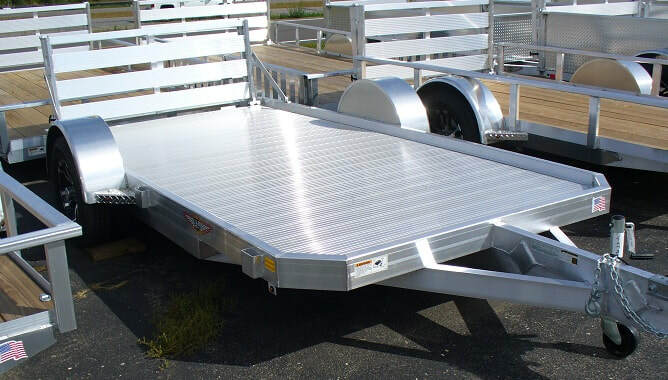 At Roadway Sport-n-Trailer we search for all the top quality manufacturers of trailers, docks and lifts to offer you the best. We work with manufacturers that offer quality, durability and reliability -Bear Track, Ridgeline, Lightning, Atlas and H&H Trailers are a few of the top brands we offer. We value our family time and know that you do too. We are here to help you create memories for your family. Our number one priority is to serve you our customer. Our experienced staff is here to serve you and assist you in selecting the perfect trailer, dock, lift or fish house for your needs. WOW. This was one of my best buying experiences working with Mike at Roadway. From the first internet inquiry message, to working out the right trailer package, to the day I rolled my new custom ordered race trailer off the lot, I have nothing but Thumbs up to give. Since I did a custom order I wanted to make sure it was exactly the way I wanted it. Mike was great to work with and patient with all my questions and Add-ons I made to the order after it was placed. I purchased a Lightning Aluminum car hauler and it continues to impress me every time I use it. I plan to keep this trailer for life but if for some reason I don't. Mike at Roadway Sport N Trailer will be the first guy I call!